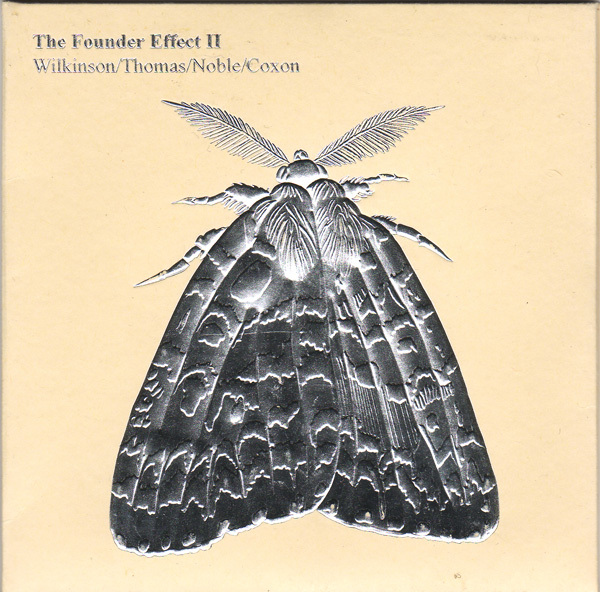 The Treader label has been run by John Coxon and Ashley Wales (the duo of “Spring Heel Jack”) since 2006, and to date has produced twenty one CDs. 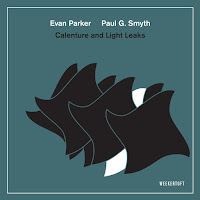 Highlights include Trio with Interludes (Evan Parker, Mark Sanders and Coxon); Abbey Road Duos (Parker and Matthew Shipp) and Treader Duos (including John Butcher and Mark Sanders – my personal favourite). CD packaging leaves little room for innovative design, but Frauke Stegmann – a London-based illustrator and graphic designer specialising in illustrations of birds, animals and insects – has produced an elegant house style, subtly embossed on card in silver or gold. It makes Treader’s releases immediately recognisable and eminently collectable, which has proved difficult on occasions due to limited availability. 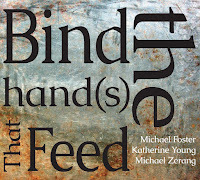 The official release of these CDs took place at a performance by the musicians at Cafe OTO in July 2013, but it’s only recently that I’ve been able to pick up copies through Treader’s revived website. The quartet is drawn from London’s rich pool of improvisers (that’s artistically, not financially) and comprises Alan Wilkinson (alto and baritone saxophones) Pat Thomas (synthesizer) Steve Noble (drums) and Coxon (electric guitar). All three CDs were recorded at Abbey Road, Studio 2 on a single day in November 2012, which is pretty good going considering that the Beatles only managed one album in a day at the studio (their first). This is not music for the faint-of-heart. It’s big, bold and brash. There’s a cultivated lack of refinement to much of what goes on, often using a limited vocabulary for greater immediacy. It has all the subtlety of agricultural machinery – the acidic bite of Coxon’s guitar, fog horn blasts on Wilkinson’s baritone, gloopy slabs from Thomas’ synthesizer, and the wallop of Noble’s drums, whose patterns can sound as if they’ve been set to endless repeat. The players take pleasure in letting go and seeing what happens, operating at the interface of the deliberate and the accidental – Coxon’s guitar chords bristle with overtones and are on the verge of being swallowed up by feedback or the fountainous spray of Noble’s cymbals. Sometimes things take place at an almost visceral level as textures are pulverized until they bleed round the edges, or strung out and stretched to breaking point. From time to time the core temperature cools a little, but with an underlying bristle. Yet curiously, at its heart this is music-making in the tradition of Brit Improv (no longer an oxymoron) – all about process and discovery – but done in bright primary colours, like an installation sprayed by Katharina Grosse rather than the low-key pastel tones that have often characterised such music. 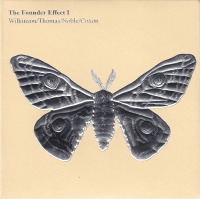 On The Founder Effect II, Coxon switches to synthesizer and Thomas adds a piano. 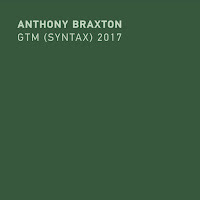 The pieces are named after three distinguished contributors to the world of free jazz and improv who passed away in the months preceding the session: the drummer Tony Marsh and the saxophonists Lol Coxhill and John Tchicia. Here, the music explores discontinuity and parody, filtered through the medium of free jazz. 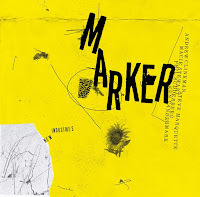 In Marsh, Thomas plays a free flowing rhapsody – the kind of thing one associates with the piano – and Wilkinson’s saxophone lends lyrical support, juxtaposed with howls and piercing wails outside the alto’s tessitura. To accompany this, Coxon and Noble indulge in a cartoon-like dialogue, but Thomas presses on undeterred until finally overwhelmed. On Tchicia, Wilkinson’s boppish ballad is smothered by subterranean groans until it’s abandoned and a bruising Hammer Horror riff takes over. And so on. Whether the band is challenging stylistic integrity or just having a bit of fun with any genre that springs to mind is a moot point. The same question could be asked of Sgt. Pepper's Lonely Hearts Club Band, recorded by the Beatles in the same studio forty five years earlier, with a similarly inconclusive answer. 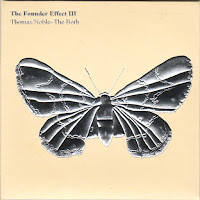 The Founder Effect III consists of just Thomas on piano and Noble (aka “The Duo”) but there’s no let up with such reduced forces (I’m not sure I could recommend listening to more than one of these albums at a time). 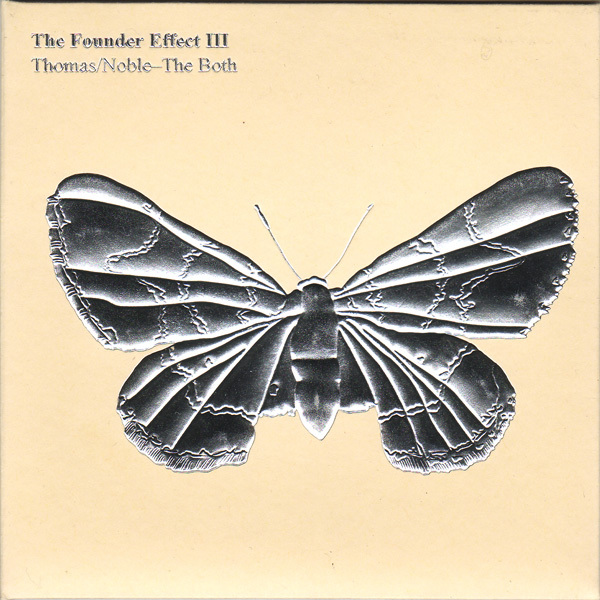 Thomas attacks the keys with relish and Noble produces the usual panoply of sounds from his kit and assorted accoutrements, sometimes sounding like he’s working his way through the kitchen department of a hardware store. The duo’s nervy and jagged phrases ricochet off each other. The Founder Effect is a theory of population genetics when a new population is established from a small part of a much larger one. I’ve no idea what, if anything, this has to do with the music. I suspect nothing at all. When was 'Brit Improv' an 'oxymoron'? (especially in the context of the music covered by this blog) Surely the British contribution to improvised music has been pretty well established over the last 50 years? It's the tradition of Brit Improv that was the oxymoron, not Brit Improv itself, which would make no sense. As usual a very insightful and well-written review. Colin referred to the "tradition of British improv" which is indeed an oxymoron. OK. Is the suggestion then that Brit Improv encompasses such a diverse range of musics that there being a 'tradition' of it is an oxymoron? Or that the last 50 years of Brit Improv is not long enough to constitute a 'tradition'? Neither. There’s a subtle but important, difference between something having a history and regarding it as a tradition. Given the anti-traditional concerns from which Brit Improv emerged – particularly “non-idiomatic improvisation” - in the past many would have thought that the notion of Brit Improv itself constituting a tradition was self-contradictory. How can the anti-traditional be a tradition? My suggestion was: maybe it's time to accept that there are common features and concerns, such as process and discovery, that amount to a tradition like any other. I accept that not all would agree, and I might be wrong, but such debates - carried on by men in beards and un-ironed shirts (as a friend once described the average Brit Improv audience) – also form part of the tradition. Ok thanks. It was unclear as a tradition can be described as "an artistic[…]style established by an artist[…]and subsequently followed by others" or "the transmission of customs or beliefs from generation to generation", both of which can be seen in Brit Improv. Even if first generation improvisers broke with tradition, surely the decades of work that have built upon/continued those ideas constitute a tradition? (which is the point I guess you are trying to make). I would suggest that within a decade of SME, AMM et al there was a 2nd wave/generation of Brit Improvisers furthering that work. Then, understanding tradition as defined by the dictionary (and used within critical thinking regarding the arts), there was a 'tradition' of Brit Improv by 1975. The first involved in most progressive movements in the arts break with prior traditions, but if those ideas extend beyond that initial work/artist, then a new tradition is established. People may talk in genres or movements when discussing culture, but they are essentially synonyms for tradition. There's something in what you say. A similar observation to the point I was making is that the non-idiomatic is itself an idiom. Ultimately, I'm not entirely sure where any of this gets us, which is the reason why my observation in the review was brief and in parentheses. It was just a thought that struck me. I'm not bright enough to be a critical thinker in the sense you mention. You're right about the second generation of improvisers, who were to an extent a reaction against some of the more dogmatic traits of the previous generation (that's how these things go). For anyone interested in the history of Brit Improv, I can recommend the recent two DVD set “Taking The Dog For a Walk – Conversations with British Improvisors”. The main DVD is Antoine Prum’s documentary which is the second part of his Brit Improv project. The first part was the vinyl box set “Just Not Cricket” which Martin and I reviewed a couple of years ago. The interviews are fascinating - and on occasions very funny - and there's a lot of good music. There's also a CD of a set played by the N.E.W. 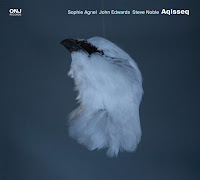 Trio (Alex Ward, John Edwards, Steve Noble) at Cafe OTO included, which is well worth having.